Need to use sandpaper but not sure how? Pete shows you how to put sandpaper on a corking block, change the sandpaper when it’s worn down, sand wood. He also explains when to change to a finer sandpaper so you can make the wood as smooth as you need to. Hi, we’re Alexander Tool Hire. My name’s Pete and I’m going to give you some tool tips. 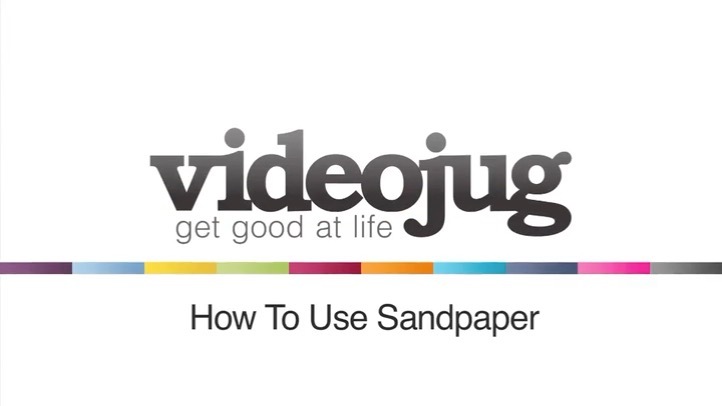 This is a video on how to use sandpaper. Ok, I’ve got a few different grades here in front of me, here, and I’m going to be using a corking block today. Ok, what you need to do if you’re using a corking block is to make sure you’ve cut the sandpaper to the correct size, which I’ve done already. Place the corking block in the middle, put the sandpaper around it, and the harder you press down the more wood you’ll take off, but the shorter the life of the actual sandpaper obviously because of the pressure you’re putting down will wear the sand away from the actual paper as well. So what you’ll do is put your hand firmly around it, put your palm over top, and you just rub in an up and down motion like so, and it will start taking the wood off. Once you start seeing that the sand is actually worn away and the quick is actually ground away too, then you’ll need to actually change the sandpaper over. So what you do it’s the same procedure, just put this one in the bin, and just put a new one straight back on, and then start again. Once you’ve sanded some parts away and you find that it looks a bit scratched and then you want to smooth it off, like I said in my last video, I explained, just use a finer sandpaper and go back over it. And that’s how you use sandpaper.